Time to give you some insight in what we call our ‘learning & evaluation meetings’ we do after every school term! The end of a term is a good opportunity to bring our team and all teachers together to discuss the progress of our collaboration. 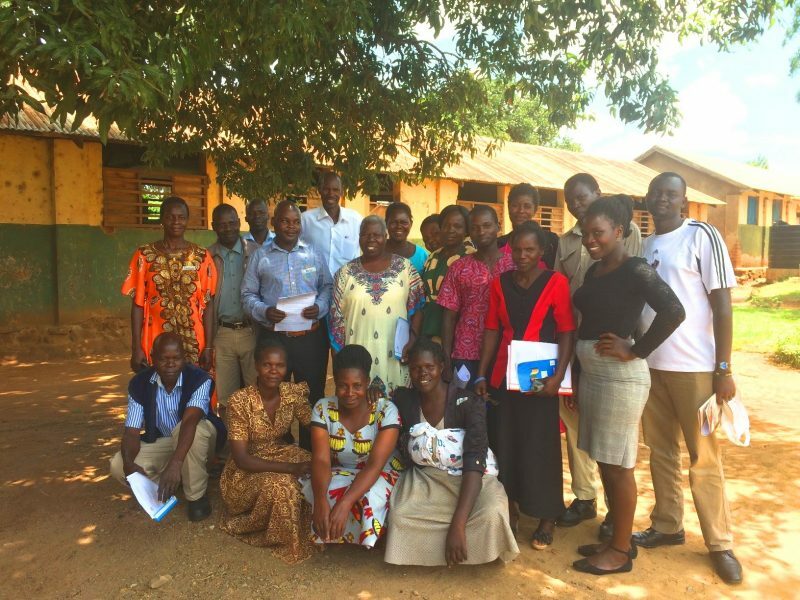 After the first term, it was only possible to do this with the teachers of Gulu PTC Demonstration School, but in August the teachers of Highland Primary School joined! During the school terms it is not that easy to have all teachers at the same place at the same time, so we created this moment during the holidays. These ‘learning & evaluation meetings’ have three important components: feedback from our team, feedback from the teachers, and an extra training moment about something relating to this feedback. For example, we shared that we are seeing more and more teachers do their best to encourage questions from the learners and to figure out what exactly a learner gets stuck on. We added that we would love to see teachers work on more specific plans for these individual learners. The teachers informed us that they would like our help with engaging parents in this process. Next, we introduced a roadmap that can be used to develop an individual support plan for learners with possible learning difficulties. Together with our new Windesheim interns, we are going to assist teachers, parents and learners in setting up such plans, as soon as term 3 starts in September. This is how we will ensure that, with time, all stakeholders will be able to continue doing this independently!